Mercedes-Benz E-Class Cabriolet Interior, Sat Nav, Dashboard | What Car? 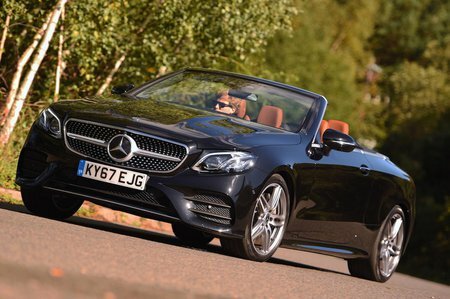 Mercedes is on a roll with its interiors at the moment, and the E-Class Cabriolet is no exception. A huge tranche of wood or metal, depending on your choice of options, spans the width of the dashboard and extends along the doors. Above and below this sit high-quality plastics and glossy switches that operate with satisfying smoothness, and the whole thing is put together with the sort of class and solidity you’d expect. Unfortunately, the vast 12.3in colour screen for the satellite navigation and entertainment systems that you see in the pictures only comes as standard on the E400. And while you can upgrade the 8.4in item that comes with the E220 d and E300, it’s a costly option. However, you do get a more advanced sat-nav, Apple CarPlay, Android Auto and an onboard Wi-Fi hotspot all thrown in, to soften the blow. As you’d expect from a big, plush cruiser like this one, the seats are very comfortable, with plenty of support all round. Electric adjustment comes as standard on every model, and that means it’s a doddle to find a seating position that suits. 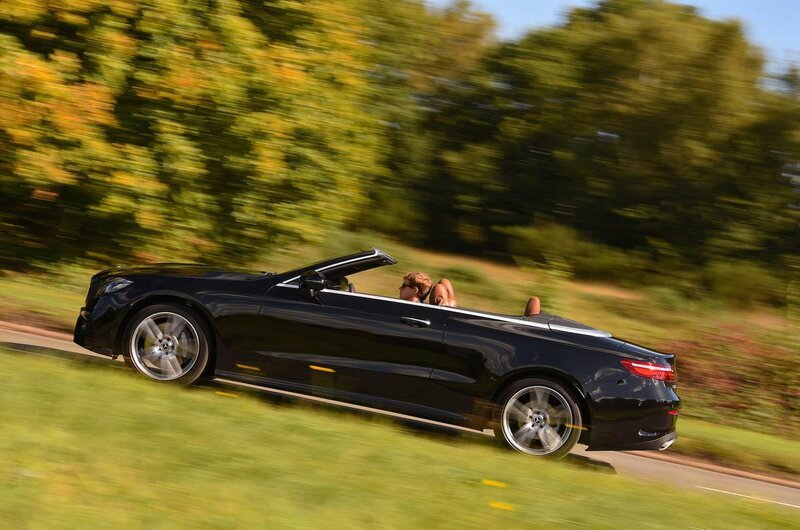 Seeing out of the E-Class Cabriolet is less easy, though. The high bonnet means the nose disappears from view, while the thick pillars can obscure traffic at junctions at roundabouts. With the roof down, rear visibility is obviously very good, but with it up, the rear windscreen is very small, limiting the view to a postbox-like slot. Fortunately, you get parking sensors front and rear as standard, which helps matters when manoeuvring.